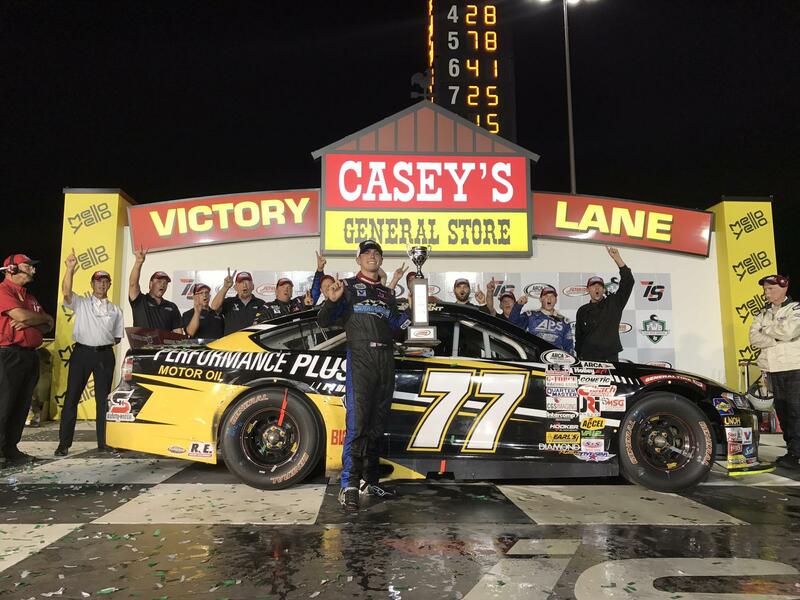 "I'm very excited to have Performance Plus as a new partner and kick things off at Iowa Speedway," said Sargeant. "They have a huge presence and proven success in motorsports so it'll be special to have them on the car this weekend and see the benefit of their products in the performance of our race cars. Anytime you can make the team happy by introducing a better quality product and lubricant to the race cars, transporters and team vehicles it's really a win win for everyone. I love the colors and scheme for the No. 77 Performance Plus Ford. I can't wait for everyone to see it. It'll definitely grab your attention under the lights this weekend at Iowa Speedway." With the high demands of auto racing, race teams depend on oil and lubricants to keep their cars and transport equipment going strong. This is why Cunningham Motorsports will begin to utilize Performance Plus Lubricants for their race cars most demanding components. "We pride ourselves on having a high performance oil that race teams such as Cunningham Motorsports and Dalton Sargeant can rely on," said Leigh Harrington, VP of Corporate Marketing for Safety-Kleen. Some of the most significant stress we see on our lubricants comes from racing. Our high quality base oil and superior additive package means our oil not only provides better performance but also withstands the wear and tear of these cars and teams. We're proud to partner with Sargeant and Cunningham Motorsports and wish him the best of luck at Iowa Speedway." "It would be huge to be able to run well at Iowa this weekend," said Sargeant. "We started off the season strong, hit a few bumps along the way, but the resiliency of this team is exceptional. No matter what has been thrown our way, we always come to the track ready to compete for the win. Over the years, I've raced at this track a good amount, Iowa Speedway is really fun to chase different grooves and adapt to changing conditions throughout the race. The guys at the shop have been working hard on this No. 77 Performance Plus Ford Fusion and it's a car we've had success with this season. I think we're all confident going into the midway point in the ARCA Racing season." The Fans with Benefits 150 from Iowa Speedway takes place Saturday, with practice starting at 11:30 a.m. followed by General Tire Pole Qualifying at 3:15 p.m. Race time is set for 8:18 p.m. and will be broadcast by MAVTV. Sargeant and the No. 77 Performance Plus Ford Fusion will also carry the Ford In-Car Camera for MAVTV's race broadcast.